The Honorable O. H. Eaton, Jr.
Judge O. H. Eaton, Jr. received his undergraduate and law degrees from the University of Florida. He was elected as a Circuit Judge in the Eighteenth Judicial Circuit of Florida in 1986. 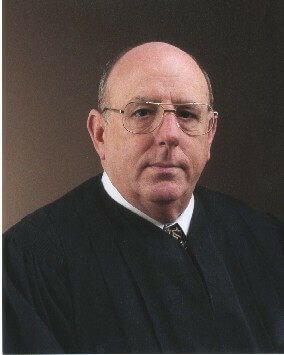 He has served as Chief Judge of the Circuit and has been assigned to every division of the court. However, his main interest is in the criminal law arena and that is where he has spent most of his career. He was a member of the Florida Sentencing Commission from 1991 until 1998. He was chair of the Criminal Justice Section of the Florida Conference of Circuit Judges from 1994-1996. He is a past chair of The Florida Bar Criminal Procedure Rules Committee and was a member of that committee from 1994 – 2001. He was a member of The Florida Bar Criminal Law Section Executive Council from 2001 – 2004. He was selected to be a member of the American Bar Association’s Florida Capital Punishment Assessment Committee (2004-2005) and has been the chair of the Supreme Court of Florida’s Criminal Court Steering Committee since 2002. He teaches the Handling Capital Cases course at the Florida College of Advanced Judicial Studies and at the National Judicial College, University of Nevada, Reno. He has published numerous articles on capital punishment and other criminal law topics and is a frequent speaker at legal seminars and judicial conferences.